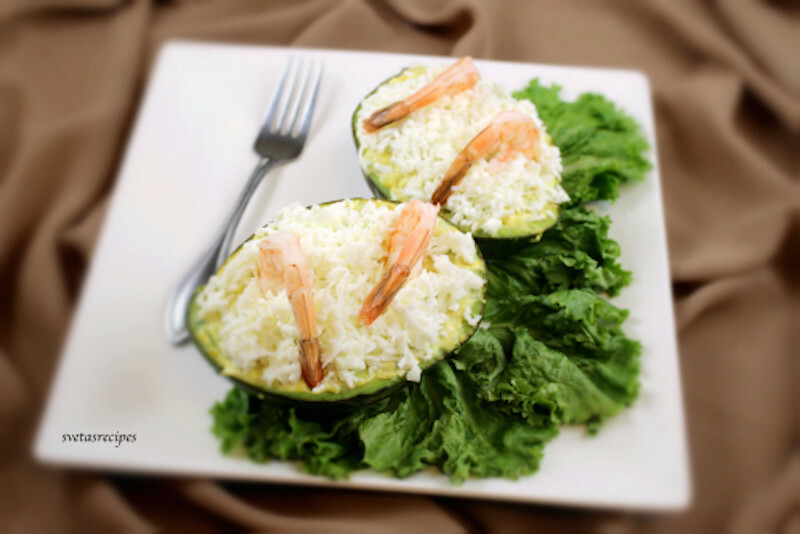 These avocado boats are stuffed with a creamy filling then topped with shredded boiled eggs and finished off with plump cooked shrimp. Serve as an appetizer or salad and enjoy! 1.) 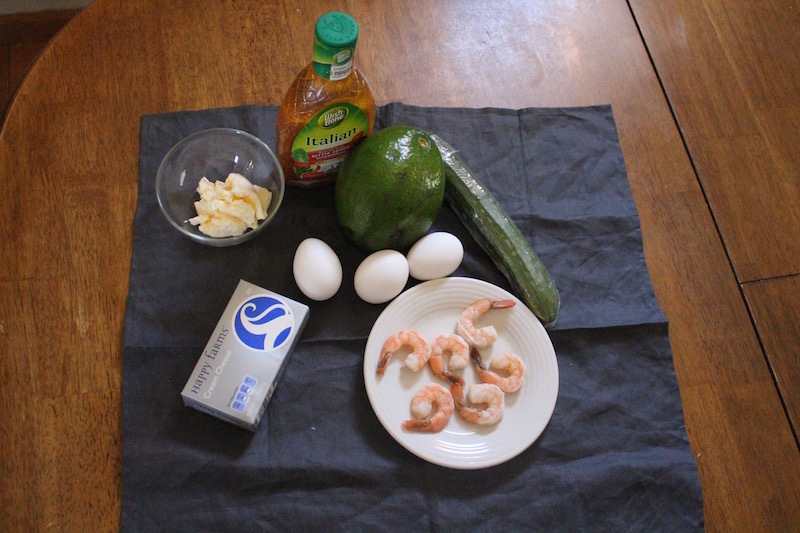 Cut the avocado and take out the pulp. Cut out the inside of the avocado so it looks like a boat, shred the insides and cucumbers. In a separate bowl mix together avocado left overs and cucumbers. 2.) Separate the yolks from the shells and add them to your small bowl. Next shred your cheese cream and add it to the bowl mix well. Also add mayonnaise and Italian dressing. Mix the ingredients that are in the bowl. 3.) 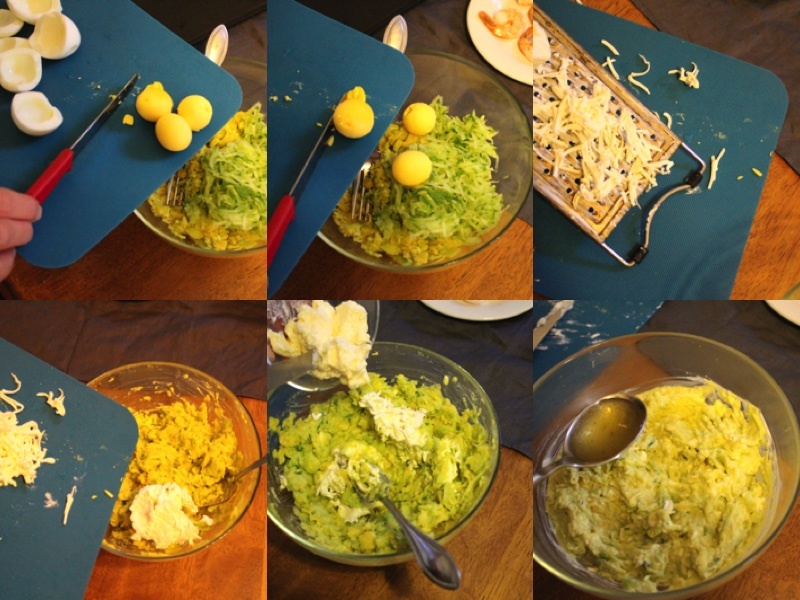 With a spoon fill up the avocado boats. Shred your egg shells and sprinkle the crumbs on the dishes. Decoration: For decoration I added 2 shrimps into each avocado boat. You can also add more if you would like to. 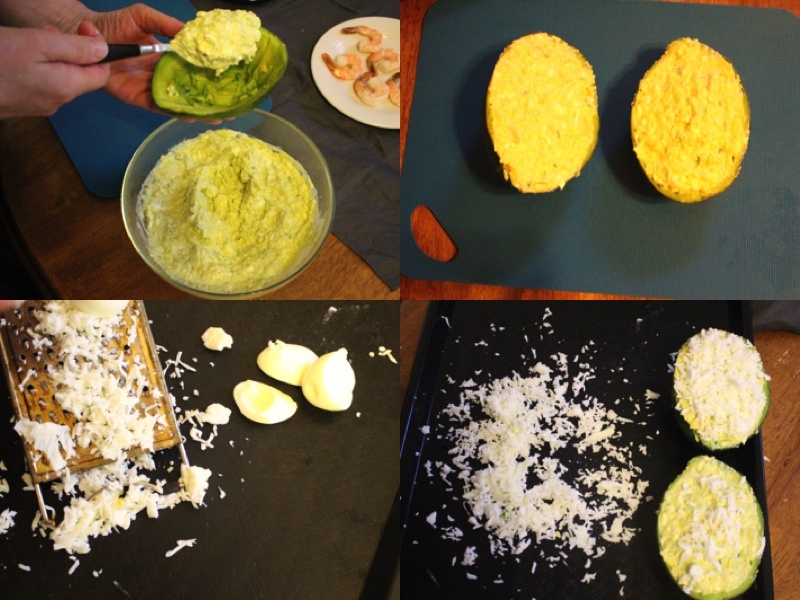 Cut the avocado and take out the pulp. 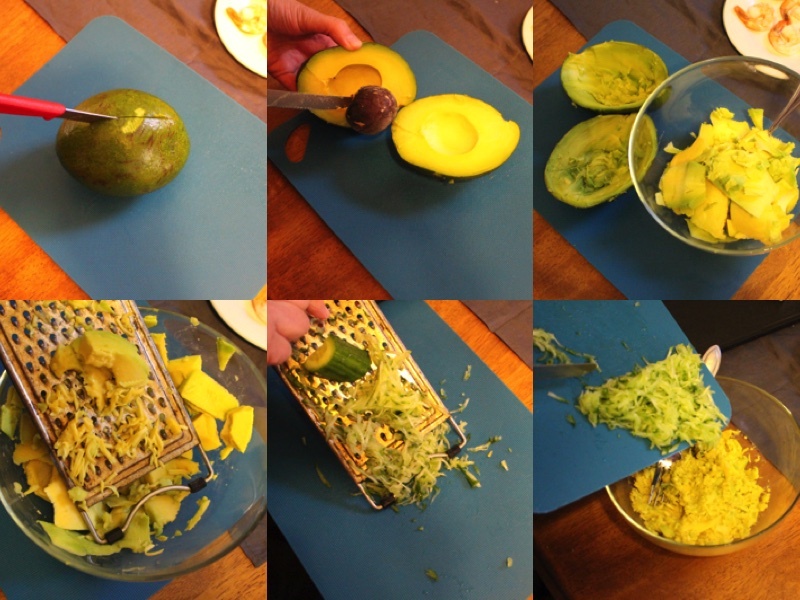 Cut out the inside of the avocado so it looks like a boat, shred the insides and cucumbers. In a separate bowl mix together avocado left overs and cucumbers. Separate the yolks from the shells and add them to your small bowl. Next shred your cheese cream and add it to the bowl mix well. Also add mayonnaise and Italian dressing. Mix the ingredients that are in the bowl. With a spoon fill up the avocado boats. Shred your egg shells and sprinkle the crumbs on the dishes. Hi Sveta – your recipes are fantastic and we love approving them then promoting around the web – please be cognizent of the categories you check. It takes time for me to unclick the categories that do not match. Thank you – Kelli at YG.